I have great pleasure in presenting Professor Murugesu Sivapalan of the University of Illinois as this year's recipient of the International Hydrology Prize. Professor Sivapalan is eminently worthy of this award for truly outstanding contributions to the science of hydrology, having shaped modern hydrology in a most distinct way. He has been a key player in formulating a new hydrological theory at the watershed scale and having contributed immensely to a wider inter-disciplinary view of hydrology as an Earth Science. His publication output is exceptional (135 articles in ISI with an H-index of 32), but it is not only this productivity that has elevated his profile. More important are the new concepts he has introduced. It is by these that he has imprinted his vision on the shape of modern scientific hydrology, making a permanent impact. Murugesu Sivapalan was born in Sri Lanka in 1953 where he obtained his BSc degree in Civil Engineering at the University of Ceylon, Peradeniya in 1975. He completed his MEng degree at the Asian Institute of Technology in Bangkok in 1977, and after working as a consultant for some years in Nigeria enrolled at Princeton University where he obtained MA and PhD degrees in Civil Engineering in 1983 and 1986, respectively. His subsequent academic career can be divided into three distinct periods. The first nine years (1987-1995) were devoted to fundamental research on scale problems in hydrologic modelling. His early contributions mark the introduction of similarity concepts in flood hydrology, a concept that had been well established in fluid dynamics but hardly known in hydrology. In a series of papers entitled "On hydrologic similarity" he brilliantly conceptualised the effects of hydrological heterogeneity and scale, and their effects on runoff response. This ultimately led to the notion of the Representative Elementary Area (REA) which was presented as a building block scale for the development of distributed watershed models. With these new ideas Dr Sivapalan was well ahead of the conceptual thinking of his peers. We all remember the excitement they transmitted at the time, a natural result of the originality of his ideas and reflecting a truly exceptional mind that always tries to explore new pathways to learning. Continuing his thoughtful and groundbreaking work further Dr Sivapalan later introduced the meta-channel concept as a clever way of representing the hydraulics of flows in a complex river network by a one dimensional effective channel, called the meta-channel, thereby bridging the gap between conceptual hydrological models and physically based fluid dynamics models. His subsequent work on derived flood frequency was similarly groundbreaking as it introduced, for the first time, the concept of hydrologic regimes in a flood frequency context, which allowed him to demonstrate the connection between the spatial scaling behaviour of flood frequency and interactions between climatic and watershed time scales. In the second period of his career (1995-2003), on the basis of deep insights gained from his previous theoretical studies, Dr. Sivapalan focused on novel approaches to the development of a new generation of models at the watershed scale. His contributions to watershed thermodynamics have been considered by many peers as a quantum leap in the area of watershed hydrologic modelling. First averaging the balance equations for mass, momentum, energy and entropy over a representative elementary watershed (REW) that was defined in a way that is consistent with watershed scale processes, he and his students and collaborators derived constitutive relations to go along with the balance equations at the REW scale, on the basis of the second law of thermodynamics. Based on the now determinate set of balance equations he proposed a new paradigm for the development of distributed watershed models (at the REW scale) that promise to be more versatile and less dependent on calibration than current models. He and his students and several colleagues together have now completed the development and implementation of a new and comprehensive watershed model known as CREW, which included the development of new closure relations to account for the effects of sub-REW-scale process heterogeneity. However, not satisfied with this upward approach to modelling, Dr Sivapalan also introduced a new and parallel data analysis framework that exploits simple signatures of watershed responses including event-scale, seasonal and annual characteristics to generate understanding of watershed functioning from observed rainfall-runoff data. In this way he advanced an alternative top-down or downward approach to the development of parsimonious and physically-based models of appropriate complexity and fidelity to counterbalance complex models based on fundamental process theories alone, as is the case with models based on the REW approach. The outputs of both of these two lines of research, in the form of over 20 journal articles, have had a significant influence on the watershed modelling community, and have been highly cited in the short time since they were published. Around 1999, Dr Sivapalan turned his attention to an even more challenging topic, namely the problem of "predictions in ungauged basins" (PUB). Indeed, many of the thoughtful new concepts he had introduced or explored in his previous research provided him the perfect launch pad to attack this fundamental and as yet unsolved problem in hydrology. When in 2000-2001 IAHS decided to launch a new decadal initiative and was searching for new ideas it was Dr Sivapalan's suggestion of PUB that caught the attention of the IAHS and found favour amongst the global hydrologic community. When the IAHS Decade on PUB was eventually launched in 2002 as a global initiative, he was the most obvious choice for its leadership, given the strength of his ideas and prior contributions to the field. By taking up its leadership, Dr Sivapalan not only helped organize and energize the global hydrological community around PUB, but through writing the PUB science plan, helped develop a firm theoretical foundation for watershed hydrology. He almost single-handedly masterminded running the PUB initiative in its formative years and made it into one of the flagships of IAHS. The influence of PUB that he initiated and led has spread far and wide, with the PUB science and implementation plans impacting on many new community initiatives that have been started or are being planned in several countries. 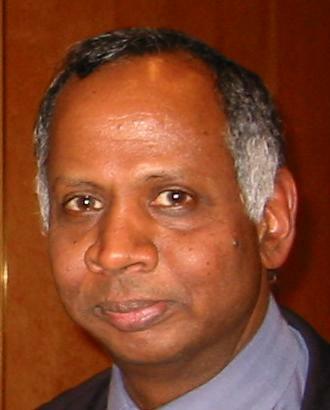 By the time he stepped down from his PUB leadership in 2005 Dr Sivapalan had become one of the giants in scientific hydrology, a name that immediately rings a bell in the hydrologic community anywhere in the world. In the latest phase of his career (2004-2010), Dr Sivapalan's research has evolved further to address the general and even broader problem of "predictability", going beyond the narrow confines of hydrology and embracing geosciences at large. Realizing that improving predictability required a broadening of the foundations of hydrologic science to cope with the inability to observe and deal with subsurface heterogeneity, he has now embarked on a new thrust towards inter-disciplinary research. Drawing from a seemingly inexhaustible supply of new ideas, Dr Sivapalan has continued to carry out fundamental research, this time on the role of threshold nonlinearities in watershed systems and subsystems, and their impact on predictability. Not only did it allow him to represent transport problems of, say, pesticide in a more parsimonious way but it also provided a most natural way for expressing the limits of hydrological predictability in diverse hydrological contexts, including that of flood frequency. Recognizing the considerable uncertainty in hydrological predictions due to the inability to estimate transpiration by natural vegetation realistically, he successfully tested the principle of vegetation optimality, that of maximization of net carbon profit, an exciting new approach that holds enormous promise for improved predictive understanding of a variety of other hydrological processes at the watershed scale and, indeed, at the global scale. This work is currently ongoing in a new community project led by Dr Sivapalan, which is aimed at improving predictability of water cycle dynamics through inter-disciplinary synthesis. The threads of a coherent new research framework proposed by Dr Sivapalan based on inter-disciplinary synthesis are already clear and the products of this research are reflected in over 45 papers published in the past 5 years alone, influencing the community in a substantial manner. Dr Sivapalan has been widely recognized for these contributions throughout his career. In 2001 he became a Fellow of the Australian Academy of Technological Sciences and Engineering. In 2003 he won triple honours: Fellow of the American Geophysical Union, the John Dalton Medal of the European Geophysical Society, and the Australian Government's Centenary Medal. In 2007 he was made the Borland Lecturer by AGU Hydrology Days at Colorado State University. He is an Editor, or Associate Editor, of eight of the most prestigious journals in the field. The esteem in which he is held by peers is reflected by his name having been turned into a brand identity - a name that stands for thoughtful new contributions that have distinctly helped shape the science of hydrology. Professor Sivapalan is one of the greatest hydrologists of our time. Important in view of IAHS's global mandate, he is one of the top hydrologists in the world who was born and educated in a real developing country: Sri Lanka. He has played a key role in defining the research agenda of IAHS in the coming years through his formulation and implementation of the PUB Science Plan. He is one of the most innovative thinkers, always approachable for young scientists and is a role model for the new generation of hydrologists, world-wide. It is a great honour to present the International Hydrology Prize to Professor Sivapalan on the basis of these truly outstanding contributions to watershed hydrology and his global leadership in advancing the problem of predictions in ungauged basins. He adds distinction to a very distinguished award. Gordon, I am truly humbled by the honour and recognition that IAHS has bestowed on me through this prestigious award, and I am delighted to be receiving it in the presence of friends and family. Your citation made a lot of flattering statements about my contributions to international hydrology. I am reminded that exaggerations are par for the course when it comes to award citations. Instead of making a vain attempt to refute them, I want to use this time to talk about IAHS, and especially about the IAHS Predictions in Ungauged Basins (or PUB) initiative. I have done a lot of different things in my career but the work that brought me into IAHS was really the PUB initiative. Through adopting my suggestion of PUB and handing me its early leadership, IAHS had offered me a platform to push forward with some of my ideas. There is self-interest in the common interest, after all. As much as PUB is the "jewel in the crown" of the IAHS, it has also been a great vehicle to advance my own scientific career, for which I am grateful. Long before the IAHS PUB initiative was launched, PUB had played a major role in revitalizing my research career. Round about 1997 I was feeling disillusioned, in spite of the fact that my productivity was at its peak. I did not see the relevance of my work to societal problems that affected real people, and felt a growing emptiness. It was at this time Professor Vijay Gupta was visiting on sabbatical, and introduced to me the idea of PUB. For the first time I began to see how I could relate many of the things I was doing to the general problem of PUB, and this helped to re-energize my research. Thereafter I reoriented my research and channelled it towards developing a research vision centred on PUB. When I eventually became full professor and gave my inaugural lecture in July 2000, the subject matter was indeed PUB. The elephant logo, which was subsequently adopted by the IAHS for PUB, had already showed up in my inaugural lecture. In December 2000 I started a 6-month sabbatical stay at Delft, and travelled to Europe via Chennai and Bangalore in India. Between December 2000 and June 2001, during my frequent travels across Australia, India and Europe (Perth, Chennai, Bangalore, Barcelona, Lancaster, Newcastle, Stuttgart, Delft IHE and Delft Hydraulics, Bristol, Bari, and Paris), I repeated my inaugural lecture a dozen times, almost unchanged, with what can only be described as a missionary zeal, picking up new ideas through my exchanges with leading scientists I met along the way. It was during the same period, during Kuni Takeuchi's first year of IAHS Presidency and while I was still in Europe, that the IAHS was going through considerable soul-searching about its role in international hydrology, through the medium of an e-mail discussion that Kuni had set up in preparation for the IAHS Congress in Maastricht. It is not surprising that my ideas on PUB were well honed by then, and I was able to argue cogently and passionately for PUB. What is surprising and gratifying, however, is that my ideas were received so enthusiastically and adopted so quickly, and in the end I was the one called upon to lead PUB. This went beyond my wildest expectations. Clearly PUB and the ideas behind it had struck a chord. One has to acknowledge in passing that, understandably, there was some resistance to the idea of IAHS spearheading such a decadal scientific initiative. Even after PUB was adopted there were still differences of opinion about exactly what PUB should focus on. It is to the eternal credit of the officers of IAHS, and one man in particular, former President Kuniyoshi Takeuchi, that PUB took off, gathered steam and found acceptance along the way. Professor Takeuchi deserves as much credit as myself, if not more, for PUB being where it is, and in an indirect way, for me winning this prize. I am truly grateful to Kuni Takeuchi, Pierre Hubert and other officers of the IAHS for their support and understanding, and especially for giving me the autonomy I felt I needed to lead PUB as a global grassroots movement. The success of PUB is an object lesson about the power of a simple idea, and how, when supported by clarity of vision and targeted action, it can unleash people's excitement and mobilize their self-interest towards a common interest, and how these can lead to great achievements. The universality of the PUB idea and the adoption of the grassroots emphasis were crucial to maintaining a level playing field and encouraging wider participation, which I attribute as the chief reasons for the success of PUB. They have helped PUB become a role model for how community initiatives should be organized, for which IAHS can be justifiably proud. I hope that IAHS will continue to play a leadership role in international hydrology, building on the example and successes of PUB. I want to acknowledge a number of other individuals who have helped advance the interests of PUB over the past 10 years. I want to highlight the part played by Enda O'Connell, Stewart Franks, Daniel Schertzer and John Schaake who helped, at crucial times, to develop and perfect the PUB science and implementation plans. I want to thank my successors as PUB Chair, namely, Jeff McDonnell, Günter Blöschl and John Pomeroy, for keeping the spirit of PUB alive and moving it steadily forward from where I left off. I am convinced that the PUB Benchmark Report that Günter Blöschl is putting together will become a major milestone in global hydrology, and I am eagerly awaiting its publication in a year's time. The five years working on PUB has connected me to an enormous number of people worldwide, and I have been enriched in ways academic, personal and cultural. The friendships made along the way are the greatest single legacy of PUB for me personally. I owe a special debt of gratitude to all members of the PUB family worldwide for their contributions to the adoption and growth of PUB. I share this award with so many people - students, teachers, colleagues, friends and family, too numerous to mention by name. I now want to name and thank a few special people in my life. I want to thank Hubert Savenije and Günter Blöschl for being great friends, colleagues and critics. My friendship with them is forever. I also want to thank my wife Banumathy, sons Mayuran and Kavin, and daughter-in-law Lizanne, for being the bedrock of love and support over the past many years. The most useful thing they do for me is to, from time to time, bring me down to earth by demanding that I be a better husband and father, although I will readily admit that I have not yet been able to reach the high standards they have set for me. In spite of this, their love and support is unwavering. My father, if he was here today, would bask in the glory of the great deeds he must have done in his lifetime to have a son so honoured by this august assembly of learned people. My mother, if she was here today, would beam with delight at the praises for my achievements even more so than when she first held me in her arms. For once she would forget the pain that she must have endured to bring me into this world and the enormous hardships I know she endured to raise me to the position I am in today. I feel sad that my parents are not physically here to witness the moment they richly deserved, and had waited for all their lives, but I am sure they are looking down from Heaven, and I can feel their eternal blessings. 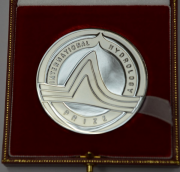 Before I conclude, I want to pay a tribute to Vit Klemeš, former President of IAHS, and former winner of the International Hydrology Prize, who passed away last March. Vit was a hero to me, and I have been heavily influenced by his writings over the years. I was so fortunate to have had the opportunity to visit him at his home in Victoria, British Columbia, last summer, and to be at the receiving end of his generous hospitality. In closing, Gordon, I want to thank you for your citation and thank IAHS, WMO and UNESCO for honouring me with this award. Thank you all for being here for me. This day will remain one of the happiest days of my life.